The win over the Wildcats marked the program’s first against the nation’s top ranked team since Jan. 26, 1985, when Ponds’ head coach, Chris Mullin, scored a game-high 20 points to lead St. John’s past Patrick Ewing and Georgetown, 66-65. 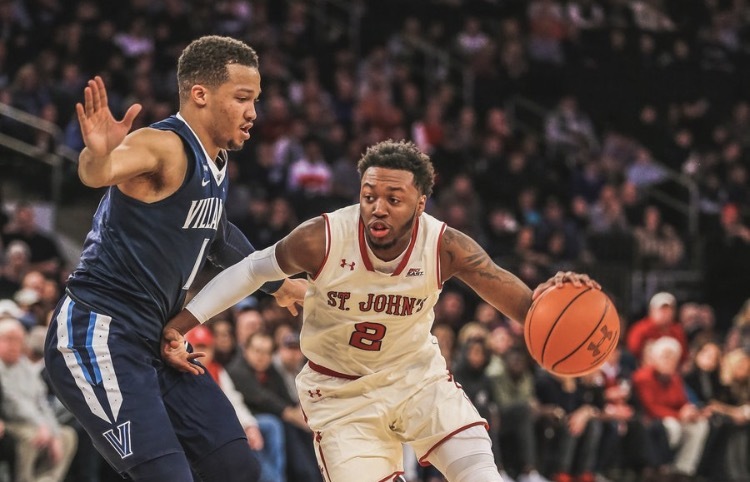 On Wednesday night in Philadelphia, Ponds scored a team-high 26 points to lead St. John’s past Villanova and end the Wildcats’ 54-game winning streak at home against unranked opponents. The Brooklyn native also grabbed five rebounds, dished out five assists and registered a pair of steals. On Saturday, Ponds put up 44 points against Marquette in an 86-78 win on Saturday, their third straight win which has made him the hottest player in the country. Ponds' 44 points was the fourth-highest scoring total in St. John’s history and broke the Carnesecca Arena/Alumni Hall single-game men’s basketball record. The previous mark of 43 was set by the late, great Malik Sealy on Nov. 24, 1990, against Central Connecticut State, a game that saw St. John’s score a school-record 135 points. Ponds became the first St. John’s player to score 40 or more since Marcus Hatten tallied 44 against Rutgers on March 6, 2003. He connected on 16 of his 23 shot attempts, including a 4-of-7 effort from beyond the arc, while converting on eight of his nine free-throw tries. In a second half that saw him register 27 points, including 13-straight for the Red Storm at one point, Ponds went 9-of-12 from the floor and helped the Red Storm pull away from the Golden Eagles. Over the team’s past four games, a stretch that has seen the Red Storm go 3-1 and square off with three teams ranked in the top six of the national polls, Ponds has scored 134 points, an average of 33.5 points per game with three outings of 31 points or more. On the season, the sophomore now ranks second in the Big East at 21.4 points per game.